If there's one thing I love in fashion, it's a shirt. From plain and patterned to fitted and flowy, I definitely own too many shirts for one person but you'd gotta have a choice right? 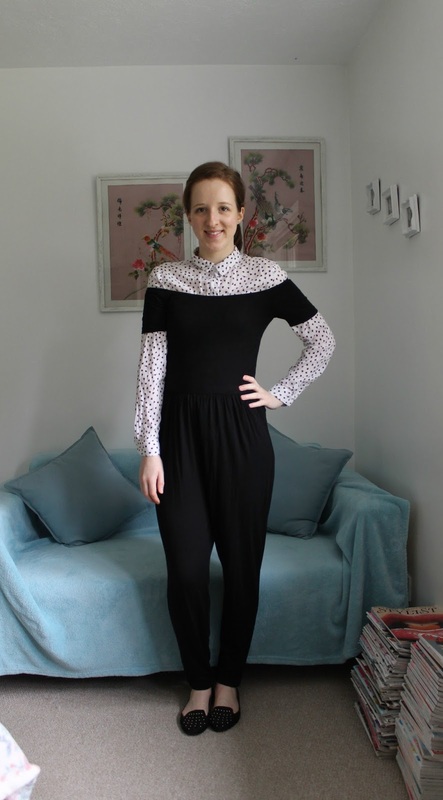 Shirts are so versatile that you can style them in any way, so I thought I would share my favourite ways to style a shirt with you! Styling something which is usually a 'going-out' outfit for me into a casual work outfit is a fun challenge. I love working out what accessories to add or how to wear it differently to suit the office. Wearing a shirt underneath a dress, playsuit or jumpsuit adds a smart style and edge to the outfit.Even if it's a little out there for me, I'll definitely be trying this one soon! A classic style I always turn to when I'm stuck in a styling rut! Tucking a shirt into my jeans adds a bit of shape and means I can style with a cool patterned belt and shoes. 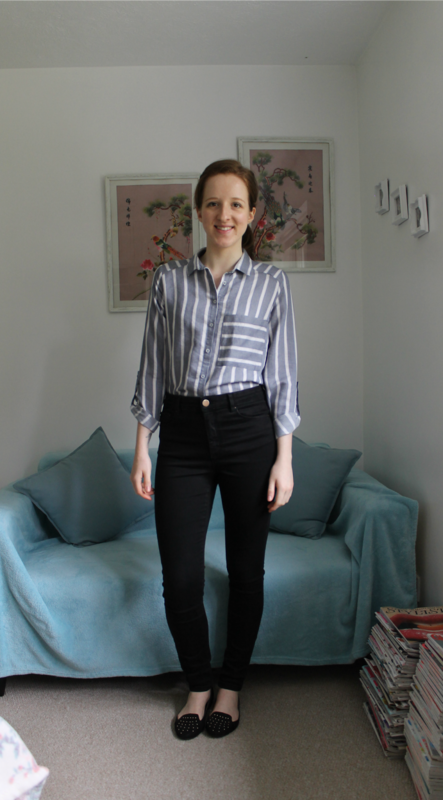 I picked up this shirt from Primark recently (haul here) and I know it'll be great for wearing like this to work and for wearing over denim shorts during hot summer days. I pretty much wore this style of outfit all winter, just changing up the shirt and jumper each time. No one can go wrong with a white shirt, I have a few variations in my wardrobe so I have the options! A jumper and shirt style means you stay warm and cosy, whilst still looking smart and sophisticated. 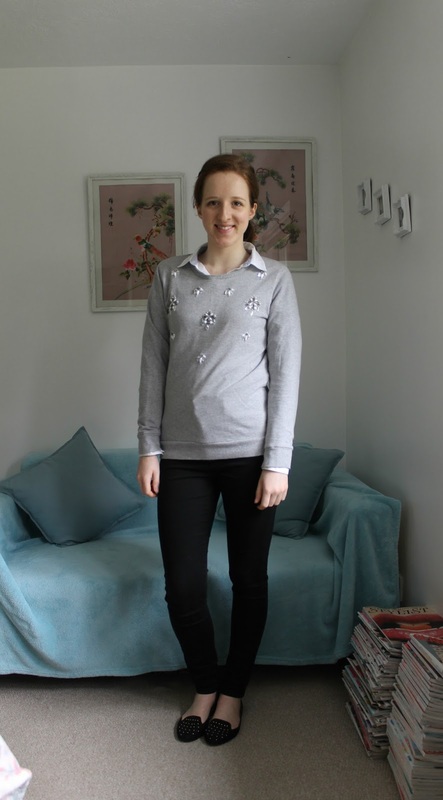 I love this jumper as the jewels add a statement without looking 'too much'. Be it mini, midi or maxi skirts, shirts tucked into all styles and fabrics of skirts work so well. I love using textures and patterns together and clashing styles which wouldn't usually work! 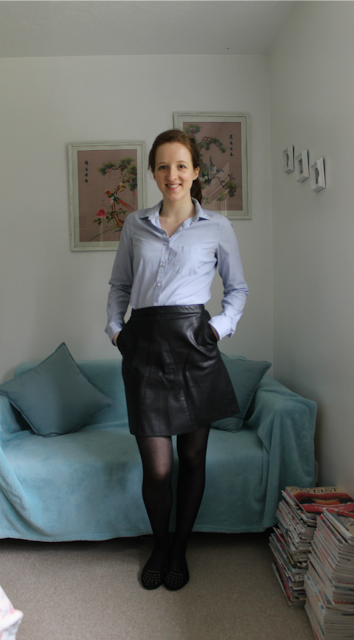 This leather skirt has worked to well with all my shirts, but especially this pin stripe style. If you're not sure where to start with shirts, I always recommend a good fitted blue pin stripe shirt. What's your favourite way to style a shirt? Which is your favourite?